Transportation is one of the leading causes (if not the #1 cause) of global warming. Bicycling is an easy, quick, fun solution you can implement today. It also improves our environment by not utilizing the fossil fuels for the transportation. There’s no doubt about it — people don’t like pollution, including noise pollution, traffic, or unsafe streets. Bicycling cuts down on pollution, noise, and traffic tremendously. Additionally, it makes streets much safer. Everyone wants to be healthier, right? Well, the moderate or rigorous exercise you get from bicycling (depending on how and where you bike) can go a looooong way in helping you on that. It’s definitely an easy, fun, and cheap way to improve your health and feel better. Bicycle Cars are practical, good for your health, cheap to run, good for the environment and fun to drive. They require no new and advanced technology to work and they would not cost much if they were mass-produced. Many other bicycle cars have been available on the market for many years but they are still for some reason, an almost unknown vehicle. Taking your bicycle to work can be a healthier and more environment-friendly option, but the trip can get a bit uncomfortable when you’re exposed to the elements. But, now it will be comfortable with a new eco-friendly bicycle-car PodRide. 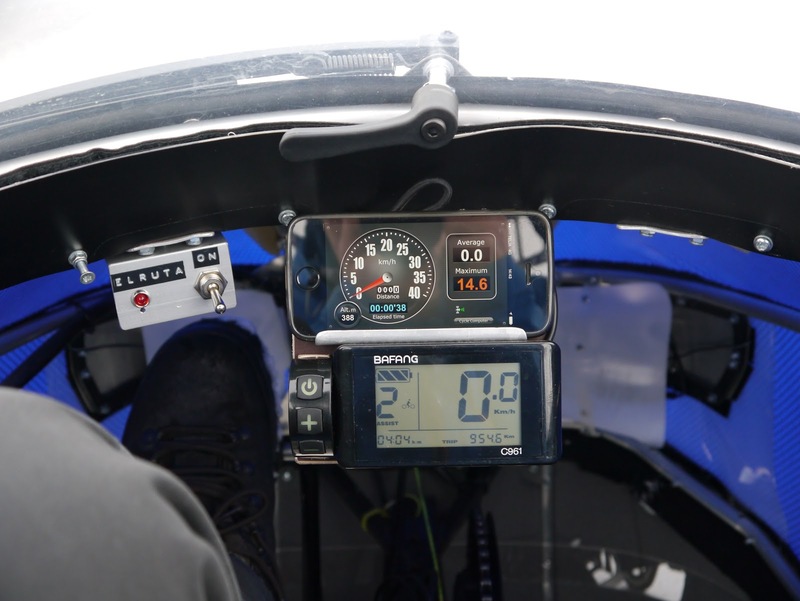 The PodRide is the brainchild of design engineer Mikael Kjellman and the crowdfunding campaign of this Innovative product is currently available to the public at Indiegogo. With all the nifty features and capabilities of this cleverly designed electric bicycle-car, funding will probably not be much of a problem. His purpose was originally only to build a simpler cykelbil for himself. But when he realized how practical and environmentally friendly it would be. He decided to try to get someone to mass produce it. That said, it is way too large a project for one person, but someone has to start. He started as a designer and developed a basic design and a first prototype of PodRide to test and present the project. He has designed and built a four-wheeled bike with full fabric body to keep dry and warm in all weathers. He enjoys riding on his bike, but the weather in his part of the country is not bicycle friendly, which sowed the seed for the idea of PodRide. He claims that he drove it every day to work for almost a year now and affirms it to be a practical and comfortable little vehicle. 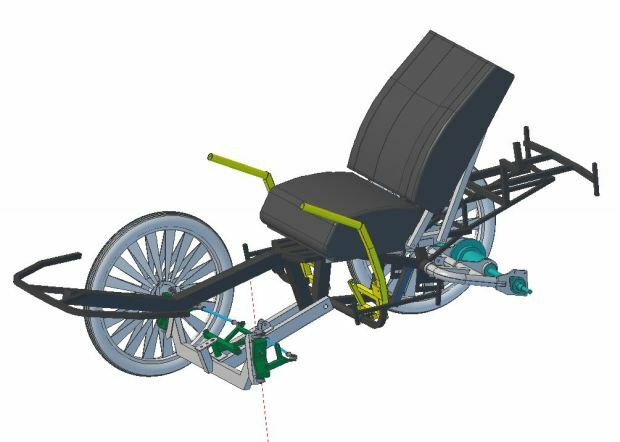 The project aims to develop and promote cycling as an environmentally friendly car, effective and inexpensive means of transportation. 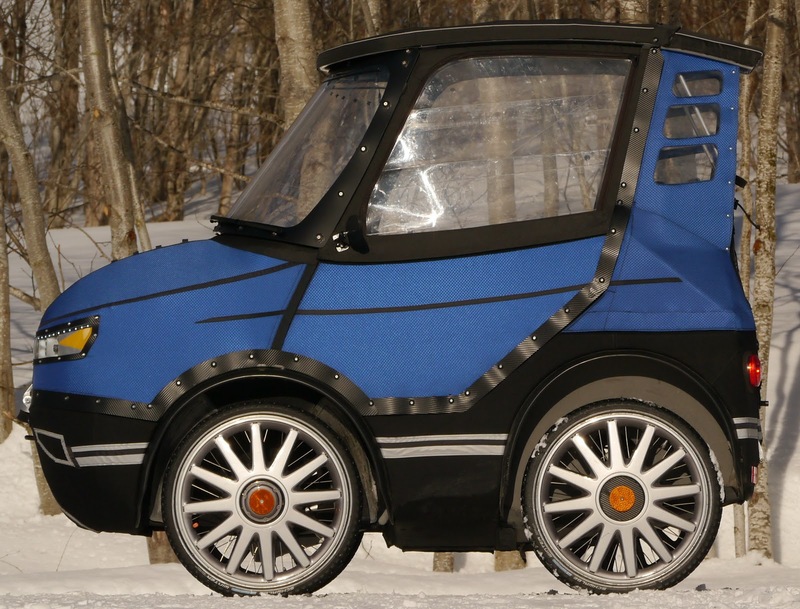 The PodRide is an innovative design that is a fun and practical cross between a bicycle and a car. 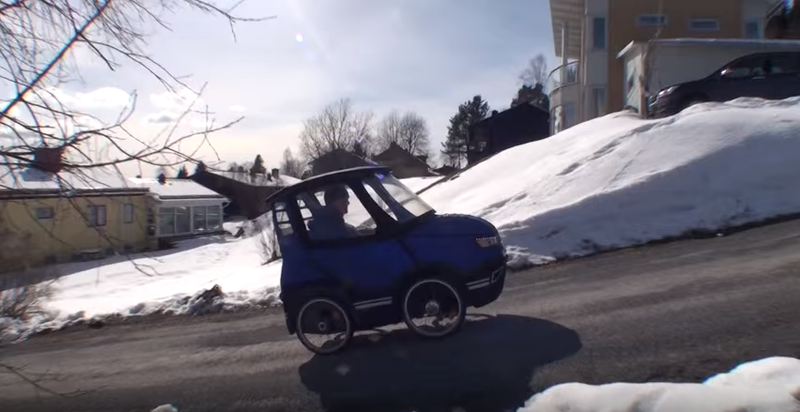 It’s a small pedal-powered vehicle with the conveniences of an automobile. It gives a dry and safe ride in all weathers. Run the electric motor and just Cruise along or turn it off and exercise, bike to work all winter, park free in the city center, skip the traffic jams, use both roads and bike paths, no uncomfortable saddle, no driver’s license, cheaper to run and great for the environment. PodRide is a velomobile that is meant to be a practical every day vehicle. 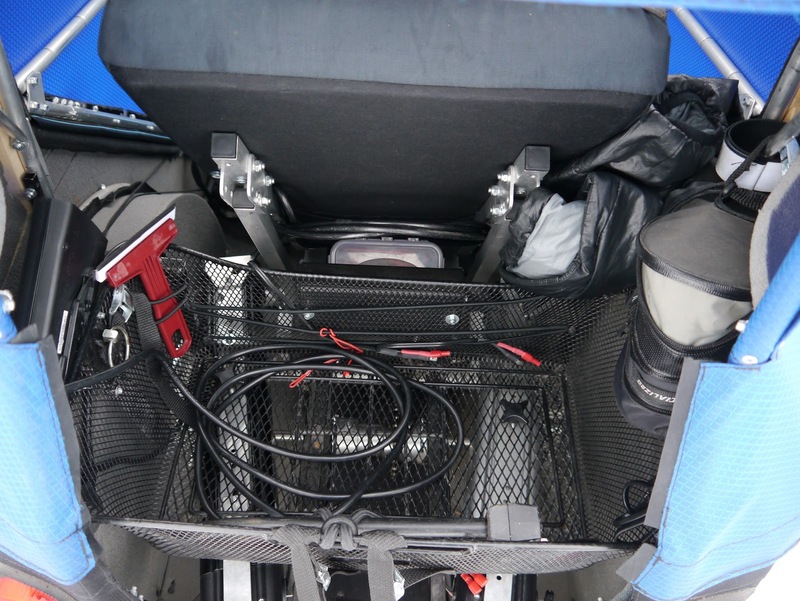 It has approximately the same sitting position and seat height as a small car, allowing easy access and good visibility in traffic. It has four wheels to be narrow enough for bicycle paths but still be stable in the curves. It has a full waterproof body to keep you warm and dry in any weather, heated windshield with wipers, soft seat with back support, air suspension and studded tires in winter. A small trunk for your shopping bags and a hitch for a bike trailer when you want to bring your kids. The electric motor and the battery are the same as on an electric bike so it is legally a normal pedal cycle and may therefore be operated on bicycle paths and without a license. He plans to develop a kit based on my prototype, intended for home builders and small pro-builders. He seeks your support for funding for designing and starting the production of this kit.